BlogHome » News » News » SharePoint: A Jack of all Trades? A “Jack of all trades” doesn’t always imply “a master of none”. In reality, the term is provided to describe a person or item that can perform a number of tasks without deciding to specialise in only one. I feel that this term can be used to describe SharePoint as a platform (and even the entire Office 365 Suite). In my role as a consultant, it is not infrequent to come across Heads of IT or Project Managers who are unaware of the capabilities provided by a subscription to Office 365. We frequently have Finance join our workshops, realising that their organisation can receive a better Return on Investment (ROI) for the licensing costs they have budgeted for. It is understandable that all projects have a set of deliverables that are defined as “In Scope”, although it is wrong to assume that the “Out Of Scope” elements are not achievable via the selected platform. It is important to consider when these items will become “In Scope”, as the system should be built to accept them in a scalable fashion. With the availability of the Office 365 Apps, SharePoint Lists, SharePoint Libraries and Workflows, this platform can create really impressive solutions. If we were to throw SharePoint Apps, Flow and bespoke coding into the mix then even more can be accomplished. Let’s create an imaginary company for the purpose of an example; rather than be inventive we will name this company Contoso. Contoso has 100 staff who are all licensed on Office 365 with an E3 account, at a cost of £1470 per annum for the organisation. Within Contoso, the HR team wants to buy a new Absence Management System. A popular tool of choice costs approximately £1,500 per annum for the 100 staff. SharePoint has never been considered. The Quality, Health and Safety Department is also stirring, and want to purchase a brand new Compliance Management Tool. They are currently going out to tender – once again, SharePoint has never been considered. The above scenario is typical of companies that I visit to assist with Office 365 and SharePoint. The issues with their approach are that they are not achieving a good ROI on Office 365, they are potentially increasing their outgoings for no good reason, and they are opening up many more platforms to be hosted and supported – causing confusion for their users. 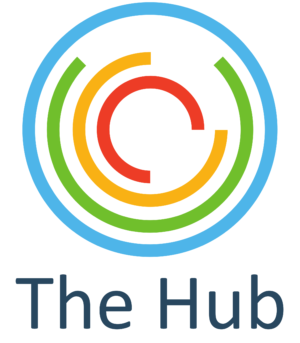 A real example occurred surrounding a delivery of our AMT Hub Intranet Solution. This solution had been purchased and included our Absence Management System delivered on SharePoint. It was only at the stage where HR were brought in to be trained on the new system that they disclosed to their IT team that they had just purchased new Absence Management software. This organisation purchased two tools that delivered the same functionality. This is, of course, down to bad communication, but it is also due to the lack of general understanding of what SharePoint provides you – it is not just a Document Management System! AMT Evolve would recommend exploring the use of SharePoint to improve processes within your organisation. Through making use of a SharePoint & Office 365 partner to develop bespoke solutions, you will increase the ROI of your investments. When scoping projects, ask the question “Can SharePoint achieve this?” If you have Office 365, SharePoint Online or SharePoint On Premise then please give us a call today to discuss opportunities to progress this, before looking to the market for new software.